The reviews for our music lessons in NYC speak for themselves at Riverside Music Studios. Please don’t hesitate to contact us with any questions about our programs. We are happy to offer you an introductory lesson and we promise that you will feel very comfortable learning with us! Our daughter is 4 – she started the piano games classes when she was 3 and absolutely loves it! I can’t believe how much she has learned in only a few months. She is now playing really cute songs with both hands, and enjoys practicing her scales all the way up the keyboard. She even learned how to play “happy birthday” for her brother when he turned one The teacher is always happy, energetic and excited to teach our little one a new challenge for the week. I like the way she keeps the classes really fun and helps me learn ways to make practicing at home fun too. I wanted our daughter to love playing the piano, if she was going to continue lessons, and she does! She is encouraged by the quick progress she makes each week and it is really wonderful to see. I can’t ask for any more and would highly recommend Riverside Music Studios. Thank you! My son has been taking private piano lessons for the past year and we could not be happier with RMS. Great teachers (always on time and with a smile), affordable prices, convenient location and flexibility with times and rescheduling lessons to mention some of the pros. At age 50, I decided to ignore conventional wisdom and snide remarks from friends and pursue a lifelong ambition to play the piano. Today, I am able to play songs written by popular composers the likes of Lennon & McCartney, Burt Bachrach, Stevie Wonder, and Antonio Carlos Jobim. I typed “piano lessons nyc” into Google and hit paydirt on my first click with Dmitry Alexeev. Only in New York can a beginner get someone like Dmitry to teach him piano at reasonable rates. While he has a ph.d and is an incredibly gifted musician in his own right, Dmitry is equally gifted as a teacher. I had absolutely no experience playing keyboard, yet Dmitry slowly and patiently nurtured what little native talent I had and got me actually playing the piano. It is the best money I have ever spent. If you love music, playing is more satisfying than listening, even if your just playing for the cats. Dmitry is a congenial and patient individual who gives the student what he wants. I didn’t aspire to play Carnegie Hall, I just wanted to play some of my favorite songs, and Dmitry took me exactly where I wanted to go. Give him a call. You will not be disappointed. My son Jackson is nine years old and he has been having a GREAT time and learning so much. He has already performed in a concert and Riverside Music Studios will hold another one in June. Having music in Jackson’s life is an amazing and wonderful experience. All children should learn to play!!!!! Dmitry is organized, nurturing– a very special teacher! I’ve been taking piano lessons at Riverside for almost 5 years now! I can’t say enough about this music studio. I’ve worked with several different teachers during my time there and have been overly impressed with all of them. Although my main focus is piano I expressed my interest in violin and Riverside was able to place me with one of their fantastic violin teachers as well. Whatever your interest is in music Riverside will be able to accommodate! By far one of the best studios in NYC!!! I am an adult student who began piano studies with Sergei at Riverside Music Studios in late November 2011 after being away from the instrument for a while and have been with him to the present. My playing has improved A LOT under his guidance. I have also on occasion had makeup lessons with Dmitry and can attest to the knowledge and professionalism of the teachers at Riverside. The twice yearly recitals are also a great way for fellow students to share their progress! Whether you are an adult or young person, experienced or just starting out, I would highly recommend Riverside!! I am an adult student and took lessons as a child. I have had very little time over the past 40 years to play the piano and was ready to begin again. It was not easy finding the right teacher and environment, but I finally did! Since last year, I have been using their “home tutoring” services for my two kid (8 and 10 years old) and I have to say that the School makes a good selection of teachers, at least according to this experience. They are professional and precise and they organize some nice moments twice a year where kids play all together during a show. I have been so impressed with our teacher, Marlene, from Riverside Music. She is compassionate, professional, and always keeps me in the loop about how my son is doing. I’m also impressed with the organization of the school, something that we had found lacking at some of the larger non-profit orgs. I know that when I need to communicate that I will get an intelligent, prompt response. The recital opportunities are wonderful – it’s so amazing to see my son get up in front of everyone and play in a real concert hall on a grand piano. He always comes away with new found confidence. I highly recommend RMS to all families as well as adults. My son has just started piano lessons with Yumi Hashimoto. He is having a wonderful experience. Yumi’s lessons are well-paced, she assigns a reasonable amount of music to practice; and her assignments are absolutely clear to me. Most importantly, my son is motivated to practice and learn more and is excited to work with Yumi each week. I’m very pleased and highly recommend both Yumi and Riverside. My daughter is 15 years old. She’s been taking piano lessons at Riverside Music Studios with Dmitry. When she started her lessons, she had been teaching herself how to play the piano using Youtube lessons. After less than a year of lessons with Dmitry, she was able to audition for placement in a high school for music, and she got in. She has learned to read music and develop technique. She has also received additional support in her academic requirements as a pianist by bringing compositions to her private lessons with Dmitry and working on them. Dmitry’s patience, skill, and dedication to his students are evident in his students’ progress. He creates a healthy environment for learning, one that privileges the students’ needs and individual learning styles, while making sure best performance, technique, and music theory goals are met. Furthermore, Riverside Music Studios’ recitals provide students with a wonderful showcase of their talent that is shared with friends and family, celebrating the accomplishments of all ages and skill levels in a beautiful setting. 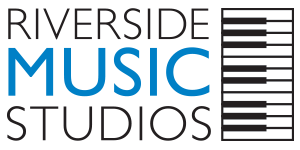 I highly recommend Riverside Music Studios to anyone enthusiastic about developing as a musician. I have been taking piano lessons with Sergei for a few months now and he is a terrific teacher! He is very patient and always has great tips and tricks to making playing come more naturally and easily. I am an adult beginner taking lessons for fun and the experience has been great! Sergei makes it a light and fun experience and always helps me improve my playing at every lesson! My son has taken classes with Florian and Sergei since he was 4. Although he had difficulty focusing in the beginning, both teachers were always positive, patient, and creative. They would always find new ways to engage him in the lessons and keep him focused without getting frustrated. After one year, he can read music, he understands rythms, and he is more confident in his abilities. He has even participated in a recital. In addition to their work with my son, I also appreciate the professionalism of everyone I’ve encountered at Riverside Piano Studios. They truly enjoy the piano and teaching others. I recommend lessons from them for people of all ages and abilities. As an adult beginner new to music and the piano, I started taking lessons with Florian about 6 months ago with the goal of learning blues/jazz. Florian has been awesome to work with and is helping me get that cool blue/jazz sound. He is extremely patient and has designed my lessons to build off of each other each week. I feel like I have come a long way in only 6 months, and am having a lot of fun improvising. Also, I have found Dmitry to be very responsive and professional with respect to coordinating logistics/lesson times. I highly recommend Riverside Studios and Florian! My 8 year old son took lessons with Dmitry at the studio for the past 3 years and now takes lessons with Oksana in our home. My 6 year old daughter, a real beginner, started with Oskana in our home this past year. Both Dmitry and Oksana are fabulous instructors, who cater to the individual learning styles of their students. They make the lessons enjoyable, and my children look forward to their lessons each week! In addition, Riverside holds twice yearly recitals for all their students. If you are looking for excellent high quality instrutors who really know how to teach children, I highly recommend Riverside Piano! I started taking lessons cold with Florian around October 2011. I’ve never taken a piano lesson in my life, but after seeing some friends play who have taken lessons I was inspired to go for it. Riverside Piano was the perfect fit. Dmitry was super responsive when I reached out to him for lesson times, and they were extremely accommodating to my schedule. I’ve been taking lessons with Florian every Sunday since then. We started at the very beginners level, but then pushed forward by setting some goals and working hard to attain those goals. Florian played an integral role in getting me to where I am at the moment in my studies. The best part, though, was when Florian asked me to perform in one of the recitals that Riverside puts on. I am an adult student who began with Sergei in late November 2011, having been away from regular study/practice for about 15 years. In this time, Sergei has helped me to work on some of the technical issues that have always been a challenge for me. He is also working with me to explore and interpret the music, so that the piano sings instead of sounding like a machine when I play it. Sergei also has extensive knowledge of the piano literature, and is able to recommend pieces that are challenging without being overwhelming. It no longer feels like work when I practice, and the lesson is one of the high points of my week. Last – some very young students also have their lesson prior to mine, and I have seen Sergei in action with them. I wish I had had a teacher like Sergei when I was that age. If you are an adult who wants to begin lessons or resume after a hiatus, or if you have a child interested in pursuing piano, I would definitely recommend Sergei. I’m 23 and I had never taken any piano lessons before. I was afraid of running into a very strict professor who would make my desire of learning become a frustration, as we all know piano professors can spend hours just showing you how to position your fingers right. However this is not what happened. Sergei was my professor and he was great. After the first class I was already playing the song I wanted to. He helped me stay motivated by letting me play whatever I wanted to learn. He is patient, calm, a great pianist himself and very professional. I recommend him for anyone wanting to learn piano. Our classes are a lot of fun. I highly recommend. The perfect approach to learning to play the piano. Riverside piano give you the perfect blend of formal ‘tutorial’ type approaches, but also with a free style teaching approach which means you can play the music you want – regardless of your current skill level. I would highly recommend this studio above all others to anyone wanting to learn the piano. Professional, Resourceful, Unbelievably Talented. My experience with Riverside Piano Studios has been nothing short of excellent. Working with Florian has been an absolute joy. I appreciate his patience and encouragement as I’ve been working towards my dream of playing the piano. Florian has a natural passionate relationship with music and the piano in particular. His enthusiasm and knowledge as both a talented artist and an instructor equips me with the tools and confidence I need to move forward. Thank you Riverside Piano Studios! My daughter loves Riverside Piano. She began her lessons with Mr. Sergei when she was 5 years old. After attending a year at the studio, she has progressed tremendously under Mr. Sergei’s guidance and expertise. As a young student, he has successfully garnered my daughter’s attention and, as a 6 year old now, that is a tremendous accomplishment. Mr. Sergei is patient, understanding, diligent, flexible and extremely talented. Simply stated, after studying with him, my daughter wants to play exactly like Mr. Sergei. I believe, under his guidance and attention this will become a reality for her. Needless to say, I am thrilled. Kudos to Mr. Sergei and Riverside Piano Studio! After going through several questionable piano teachers I stumbled across Dmitry’s piano studio on the web and couldn’t be happier with what I have found. Dmitry is highly knowledgeable with all aspects of learning piano including the music theory behind each piece as well as the technical side of becoming a better pianist through improved posture and hand positioning. I highly recommend Riverside Piano Studio to all pianists both young and old. My name is Sophia and I’m 8 years old. I started to learn piano one year ago. I had to change my teacher in September 2008. In fews months I learned more with Dmitry because he has a good method. I enjoy playing piano in his studio. In February 2009 I had the chance to participate to the recital organized by Dmitry. It was a wonderful experience. I’m thankful for Dmitry who is sharing the passion of music. I started learning to play piano when I was five. At that time Dmitry was still a graduate student teaching piano at a music academy in Queens. Now I’m thirteen and Dmitry is a Ph.D. and has his own studio in Manhattan. Every week I’m more than eager to commute from Queens to Manhattan just for this wonderful learning opportunity. I have found a very good piano teacher. When I first began, I couldn’t sit still for very long, and I probably had the shortest attention span any child could have. Luckily, Dmitry is a fantastic pianist and also a wonderful teacher. He found so many ways to gradually build my musical interest. He patiently led me through every song and before I knew it, I have developed a passion for music. I highly recommend Dmitry for piano lessons, especially for children. Piano lessons are fun, creative and entertaining. He’s able to eliminate frustration and is extremely encouraging. He gives 110% at every lesson. Dmitry works really well with kids and you won’t be disappointed. Dmitry is an incredibly talented pianist and teacher, and a friendly, unassuming person. I found him by searching the web for ‘nyc piano lessons’ and it could not have turned out better. By returning to the piano as an adult student, I have been introduced to the works of some great classical composers, and it has enriched my life immensely. I highly recommend piano lessons from Dmitry.